❏ Today in Part 2 of my series on 10 Slides to VC Funding Success, I’ll speak on 2: Pitch Deck Problem Slide – 10 Slides to VC Funding Success (Link). The Problem Slide is the second page of every successful VC Pitch Deck. After your introductory Cover Slide question and related wording, you should immediately launch into describing the Big, Hairy Problem. If you can’t succinctly state the problem in 5 – 7 words, you have a problem. Yes, there is always the exception, but the problem you are solving is not likely the exception. What is the Problem? You will learn in this article the answer to this question and which things are essential to show on your Pitch Deck Problem Slide. Pitch Deck Problem Slide – Why Is It Important? Last week in 1: Pitch Deck Cover Slide – 10 Slides to VC Funding Success (LINK), I spoke about the Cover slide and its importance. This week I’m talking to the Problem Slide, the second page of every presentation and its significance in your Venture Capital Pitch Deck. After your introductory Cover Slide question and related wording, you should immediately launch into describing the Big, Hairy Problem. Why? First, this is where you are confirming your reason for being in front of your audience after your opening introduction. Second, I said “Big, Hairy Problem” because no investor wants to hear about a problem that is small. Small issues don’t merit lots of customers or revenues, so an investor is unlikely to see a big payday. Nearly every investor wants to invest in billion USD and larger market sizes. An investor’s big payday only happens if the company can find a buyer who will pay 5x to 50x what your investor paid to buy your stock. 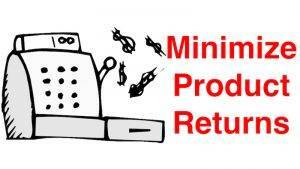 Small market products and services typically won’t give a return in that range, leading to more considerable difficulty in finding investors. Most Problem Slides I see from entrepreneurs are all over the map regarding content, format and even non-existent. I’ve sat in pitches where founders went 10+ slides, and I still had no idea what problem they were solving! Please don’t let this be you! Your Problem Slide should convey to your audience a firm idea of what you are going to be speaking. Let’s say your product is a big-box item delivery service for consumers and businesses. You might create a slide background image of an unhappy consumer with a questioning look on their face. They would be looking for a large newly purchased item. Their facial expression is saying “How the heck do I get this home?”. Show three cloud-themed “thought” shapes above the consumers head. One with a grizzled looking delivery driver in one. Another with their small vehicle with the large item strapped to it. A third of a calendar showing a six-week delivery marked on it. With no text at all, your audience has a strong image to the “Big Problem” your company is tackling. The text you write should be a few words, or bullets, supporting the image and stating the Big Problem (NO SENTENCES!). That’s it! Remember, you’re only trying to be clear on what “Big Problem” your team is bringing a solution. There’s a temptation to give a “tease” as to your “Solution” as part of your storyline – DON’T! The Solution you will speak to in some detail in the fourth slide which I’ll cover in later writings. See the image associated with this article to see an excellent Problem slide example. Pitch Deck Problem Slide – What’s Your Story? So, what do you say while your Problem Slide is visible? In pitching to investors, I advise presenters always to start their talk with a question. Starting with a question does several things. By nature, most people in an audience will stop talking when asked a question. Audience members also engage a different part of our brain than when they were chatting with others. Your audience focusses on YOU and what you are saying. Concentrating on “You” is what you want them to now to be doing! The question itself, along with the wording and delivery, is critical. Ideally, your question to the audience needs to be one that your audience can draw a personal experience. The question and its answer should directly tie to the “Big Problem.” Allow me to give one example. I hope this illustrates that starting things with a great question that your audience relates to is critical. Virtually every audience member can remember a personal experience where such a service would have made their life better! 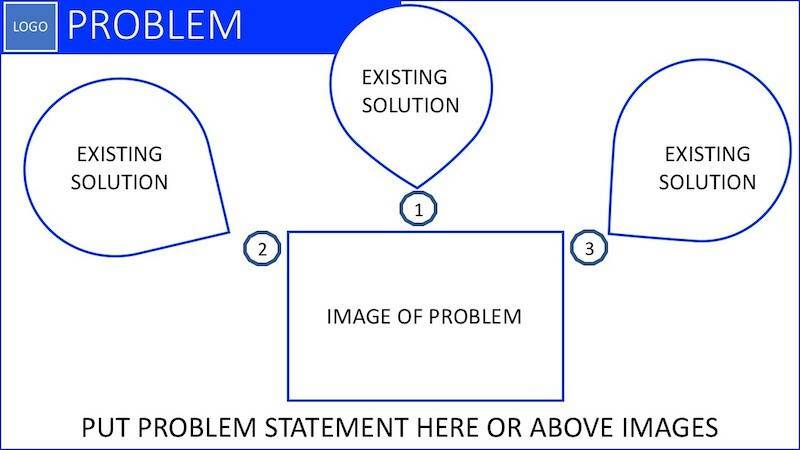 Create a similar “Problem” story to describe the problem your company is solving that your audience can relate. If you want more articles like this, please “Like” or “Heart” me.” Thank you! So, I suspect many of you were surprised concerning the importance of the Problem Slide. If you’re starting you create your first investor presentation, congratulations! You’re going to be starting on the right foot if you follow my recommendations above. Go back and look at your Problem slide and apply what you’ve learned above. If possible, you should wait to read the remainder of the series before you present again. I can almost promise you a better reaction from your audience.